For information about individual sessions including Psychotherapy, Shamanic Healing, Private and Semi-Private Ayurvedic Yoga and Bodywork, please click on "About Us" on the left or call 914-420-2523. Thank you to the twenty students that came to learn to teach the practice they love at our wonderful Yoga Teacher Training at Wainwright House in Rye, NY over the last two years. It was a fulfilliing experience for me to work with such wonderful students and teachers. I was blessed to have led this training along with Paula Heitzner and Patty Holmes, both seasoned, creative, dynamic amazing teachers. We are excited to be moving to a new chapter, teaching the next level of teachers in our YTT300 starting November 2108. Another new chapter includes the continuing of the Medicine Wheel group at my office in Mamaroneck starting in February 2019. (This group will follow the Yoga Belly Dance group for the winter season.) We will explore the directions on the wheel, discuss and pray for a world with consciousness of our necessary and healthy relationship with Mother Earth and all beings. We will ask questions such as "How can we communicate and act in a "power-with" way, rather than a "power-over" way?" We will make prayers and prayer ties and talk about how we can bring what we are feeling and thinking and discovering out into the world. This is especially important in these challeging and dynamic times. The first group will take place Saturday, March 2nd at 3pm following the dance class at 2pm. Please call 914-420-2523 if you would like to have any of these classes presented at your studio or holistic learning center. They are for teachers or serious yoga students interested in the subjects. On Saturday, March 30, 2019 at 2pm I will begin a class that will take place on the last Saturday of the month throughout 2019. The focus of this class will be Yoga for Women Who Have Been Harassed, Abused and/or Assaulted. Yoga has much to offer for the healing of trauma as well as support for the understanding of what is required of us as women in a world that continues to be sexist and violent. Every women has her own ways to deal with past and present experience and yoga can offer support for existing processes and an opportunity to explore new ideas in a small community. Each session will have a particular topic or two for the purpose of exploring deeply what the asanas, pranayamas and meditations might offer us in terms of support for specific dynamics pertaining to this issue. This approximately 1 hour and 45 minute workshop has a suggested donation of $25, but no one will be turned away. You must preregister by calling 914-420-2523. In addition to my other classes, I am excited to be teaching Ayurvedic Yoga on Friday mornings at 10:30am in my office, 1600 Harrison Ave, beginning again in May. Call 914-420-2523 to register. If you would like to read my blog Integrating Ayurvedic Yoga, Shamanism and Trauma-ism, click here. Thank you for coming to the Full Moon Ancestral Spirit Medicine Wheel Ceremony group at 1600 Harrison Ave out in the beautiful moonlight in Mamaroneck held on Friday, August 31 at 7:30pm. This sacred ceremony was shared with me by Eve Bruce, Shaman MD while I was in Ireland. It intended to rekindle our respect and honour of those who walked this world before us. I shared energy from the stone circles and other sacred sites I visited in Ireland. In the spirit of our ongoing group we checked in with the Wheel and the sacred directions, recognizing the aspects of our selves that need healing, and connected with support and healing. We ended our group sending out our prayers to all beings. ***The next therapeutic Yoga Belly Dance workshop will be at 1600 Harrison Ave on Saturday, March 2nd at 2:00pm. Please bring a dance belt and veil if you have them. It will take place on the first Saturday of the month and continue through the new year. It is an hour long workshop suitable for students of belly dance who would like to explore it as a spiritual experience in ceremony. Beginners are also welcome. This workshop is a great way to explore the elements of creation in your body, enhance your health, beauty, passion and peace as well as just have fun. It will be followed by a half hour Shamanic Medicine journey when/where you can focus the energies generated from the Yoga Belly Dance class into healing and creation of truth and beauty, supporting the process of Respectful Life in Balance with Mother Earth. Most of the Birth of Venus classes (except long term trainings) now take place at The Rockledge Building, 1600 Harrison Avenue, Suite 203A in Mamaroneck, NY, our new home. There is plenty of parking and it is very cozy, quiet and clean. We are located on the Rye Neck/Harrison border. Call 914-420-2523 to register. Students register in advance on a monthly basis. Occassionally drop ins are available. There may be space available in pre-existing classes, but you do have to call find out. Semi-private classes can be arranged. You have found us...the program for personalized, expert, anatomically safe, strengthening, affordable, spiritual yoga practice in Westchester County, NY. Welcome! If you are interested in training to become a shamanic healer or enhancing your existing skills, click on Chakras in Shamanism. If you would like to order a copy of my book, The Chakras in Shamanic Practice: Eight Stages of Healing and Transformtion, go to www.innertraditions.com and type Susan J. Wright into the keyword search. I look forward to continuing to share the techniques I have learned in Peru and at Kripalu, Cape Cod Institute, Omega and the Open Center with all my students and clients through the coming year. This includes the Nine Rites of Munay-Ki, or Andean Q'ero Rites of the Shaman's Path. I received these rights from four powerful Andean Shamans with the understanding that I would pass them on to help support others to clear their luminous energy fields and connect with Spirit in this pivotal time of human crises and evoloution. According to the prophecy, together we will witness the birth of a new form of human on the planet and the dawn of a new civilization. When you are given the Rites of the Munay-Ki you are having the seeds of healing and Spirit planted within you which you then nurture through awareness, meditation and the fire ceremony. The Rites are available in the Medicine Wheel group and at the fire ceremonies (by prior arrangement). The seeds can then be nurtured through these classes/groups or in individual sessions. I am also happy to share what I have learned these past few years about IFS therapy, sensory-motor experiencing, trauma treatment, DBT, myofascial release, SE and mindfulness as well as a deeper exploration of yoga from the exquisite, powerful Angela Farmer. I also have learned quite a bit through the teachings and presence of Lewis Mehl-Madrona, MD this past year. If you have accessed us through ChakrasinShamanism.com or FiresofTransformation.org, related information is available on their respective pages. 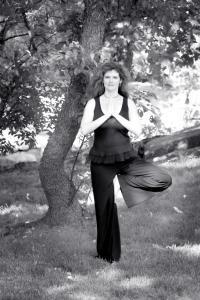 We offer weekly classes in yoga, belly dancing and shamanic healing. Individual yoga, myofascial release massage, meditation and healing sessions are also available. Individual and couples therapy are available by appointment. My new office is located in the Rockledge building, 1600 Harrison Avenue, suite 203A, still in Mamaroneck (Rye Neck), just off of Boston Post Rd. There is plenty of parking at my new location. If you are coming from NYC, you can take the train to Harrison, turn right coming off the train, walk a few feet, turn left onto Harrison Avenue.....and take a brisk walk or a very short taxi ride to 1600, on the left about a half mile down the road. If you are pregnant and wanting to take a wonderful pre-natal yoga class on Thursday evenings at 7:00 pm in Tarrytown, NY (Westchester County) contact Marianne Letizia at 917-763-4417 or marianne101366@yahoo.com.